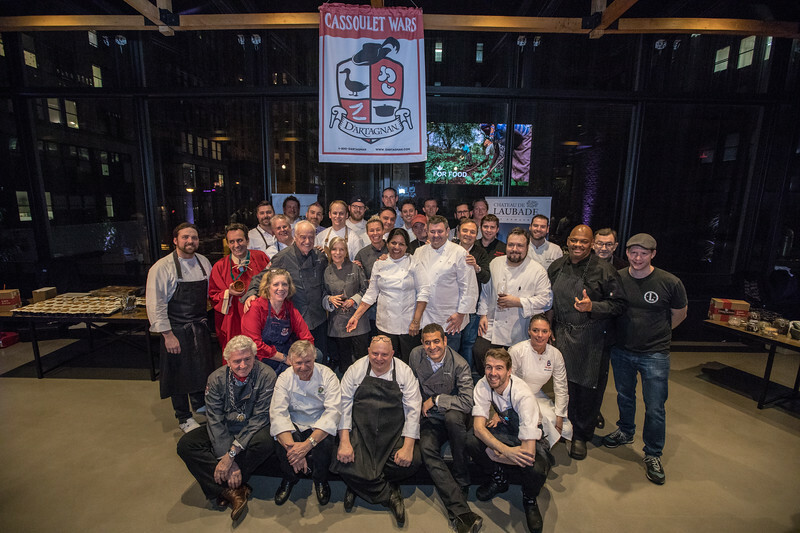 Carrying on the rich French tradition in which chefs and villagers compete for the best cassoulet – a rich, slow cooked, bean and meat-based casserole 23 notable chefs from across the country put their own unique spin on the iconic dish for D’Artagnan’s Fourth Annual Cassoulet War. The event was held at Hotel Eventi, in benefit of Action Against Hunger. 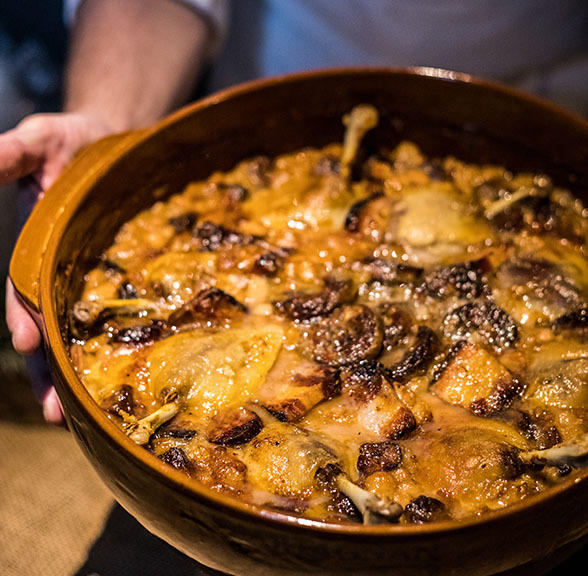 And here you can try your hand at recreating this award winning cassoulet. However, the true winner of the event was Action Against Hunger, as the event raised more than $10,000 in support of the nonprofit organization. The panel of esteemed judges for last night’s event included Chef Philippe Bertineau (chef & ambassador of L’Academie Universelle de Cassoulet), Benjamin Bragard (CEO, Bragard), Chef Jean-Louis Dumonet (chef, president Maitres Cuisiniers de France), Chef Andre Soltner (French chef and author), Chef Sara Moulton (host of Sara’s Weeknight Meals on PBS), Chef Laurent Tourondel (L’Amico, The Vine), Anne-Claire Legendre (Madame le Consul General de France a New York) and Chef Elizabeth Falkner (Top Chef judge). Event sponsors include La Compagnie, Chateau Peyros, Georges Vigouroux, Chateau de Laubade, and Bragard. place the fat side up. Store overnight uncovered. tender but not totally falling off of the bone. Remove duck from the pan, reserve 2 cups of the fat and put the rest in the refrigerator to cool. separate plate to cool. Reserve liquid and set aside. cook for another two minutes, add tomato paste and mix well. After add Chopped tomato. 3. Add beans to the vegetables and cover with about 6C of the Broth or until the beans are covered. bone. Add Bouquet garnis. Cover with liquid about ¾ of the way up and put in oven for two hours.